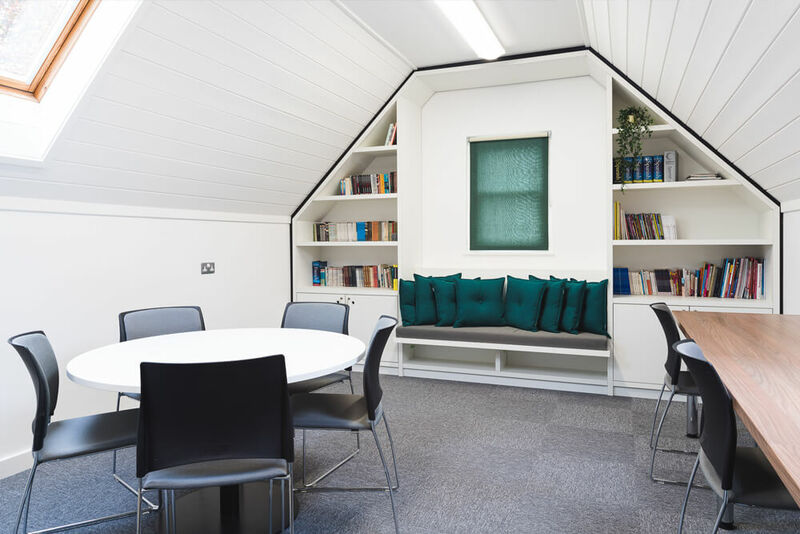 Abingdon School is an exclusive independent day and boarding School for boys aged 11-18, with a highly successful university placement. 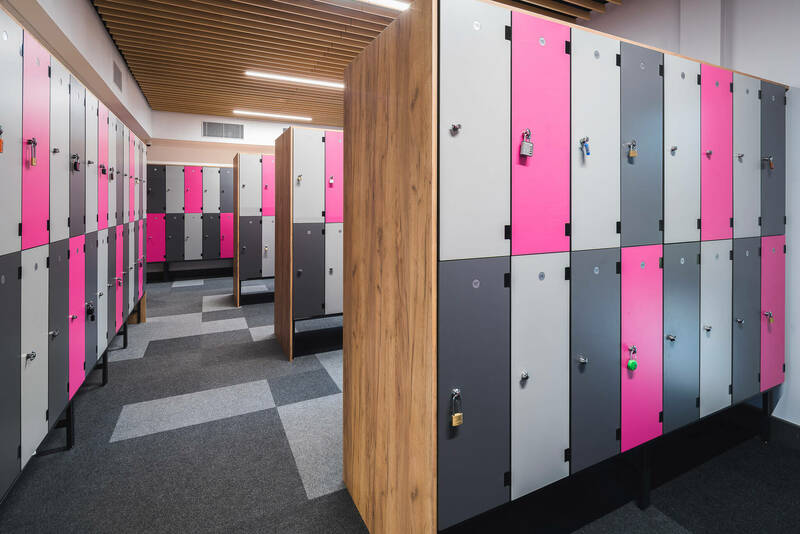 The School approached Pinnacle Furniture to design and complete the fit-out for Beech Court – an impressive newly built 3-storey building. 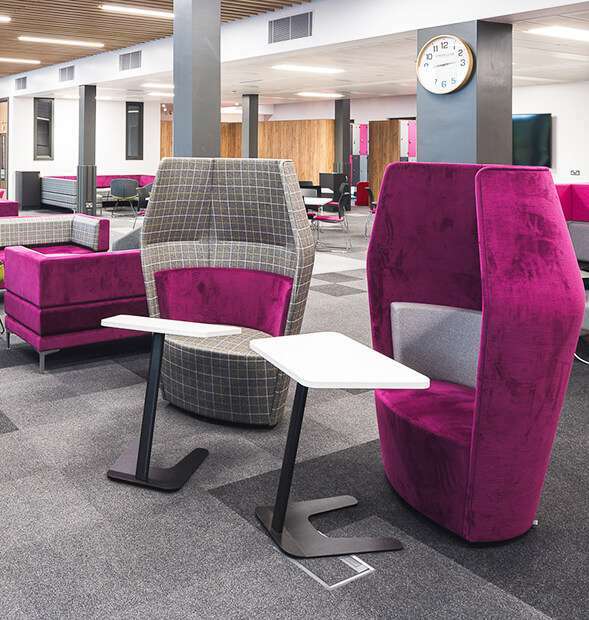 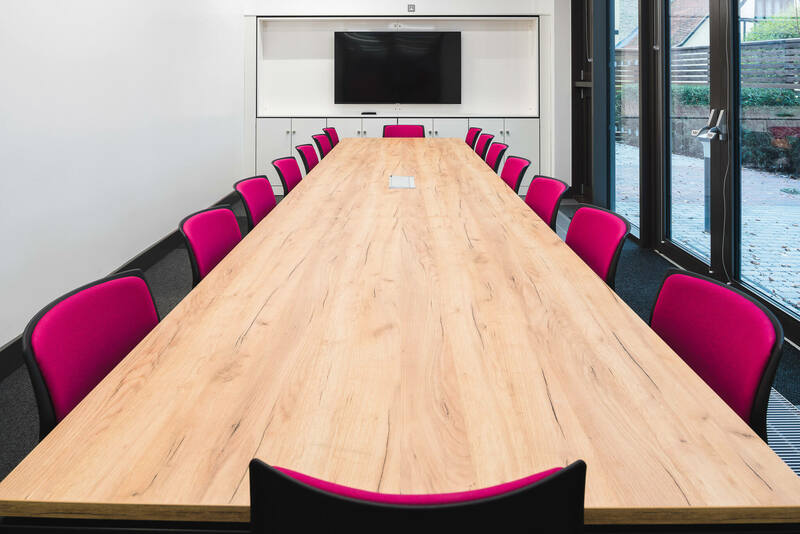 There were various areas the client wanted us to incorporate within the space including a cutting edge Sixth Form Centre, a Library, the Art Department, study areas, meeting and conference rooms, and administration offices for staff. 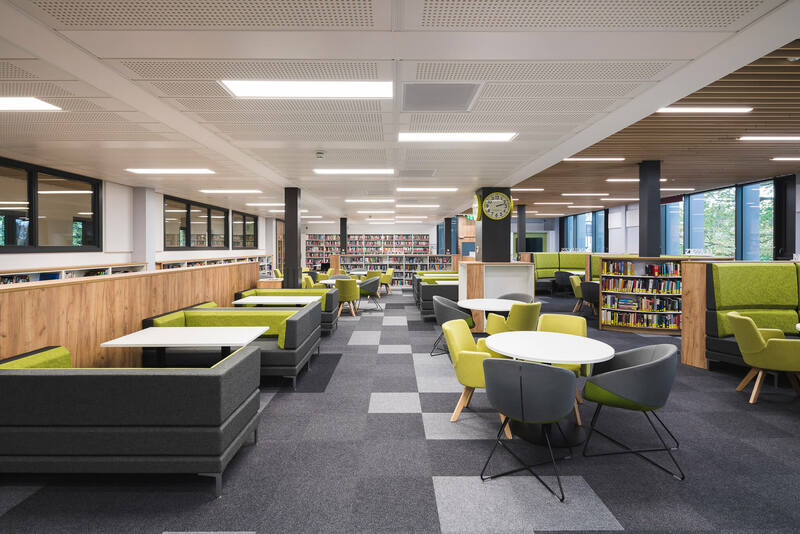 During the briefing process the School felt strongly that they wanted the design of the new spaces to bridge the gap between secondary and further education. 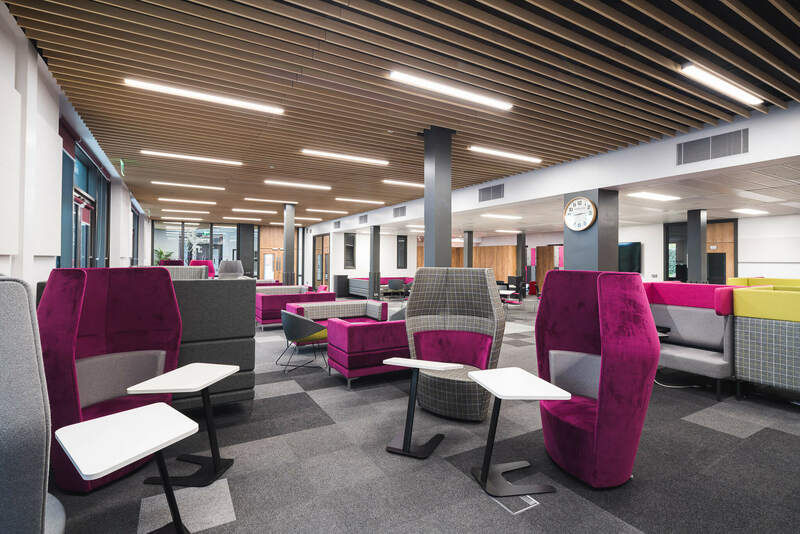 We worked collaboratively with all of the key stakeholders involved in this project, and meetings took place every 2-3 weeks, where we showed them new design ideas, revised colour choices and presented a 3D design model allowing us to make amends to the layout and colouring in real-time. 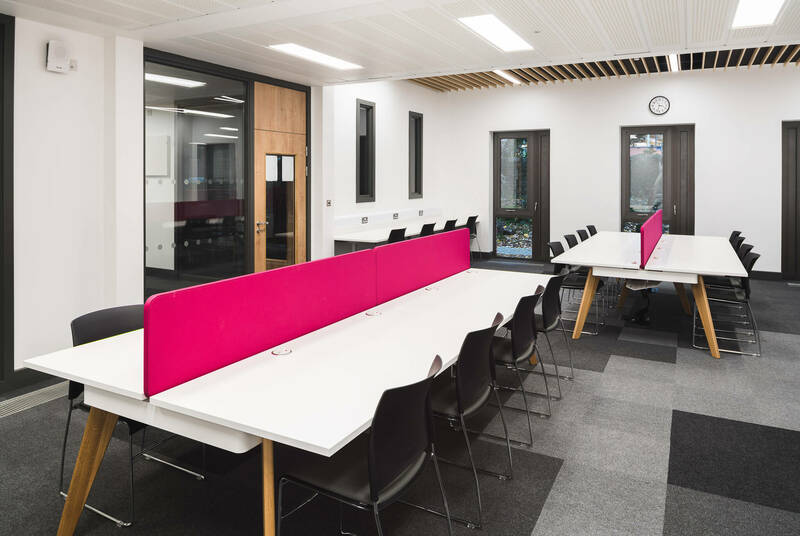 On the ground floor, we created the Sixth Form Centre, where we divided the floor into several zones; a locker area, the Invention Room, conference and meeting room and a silent study room. 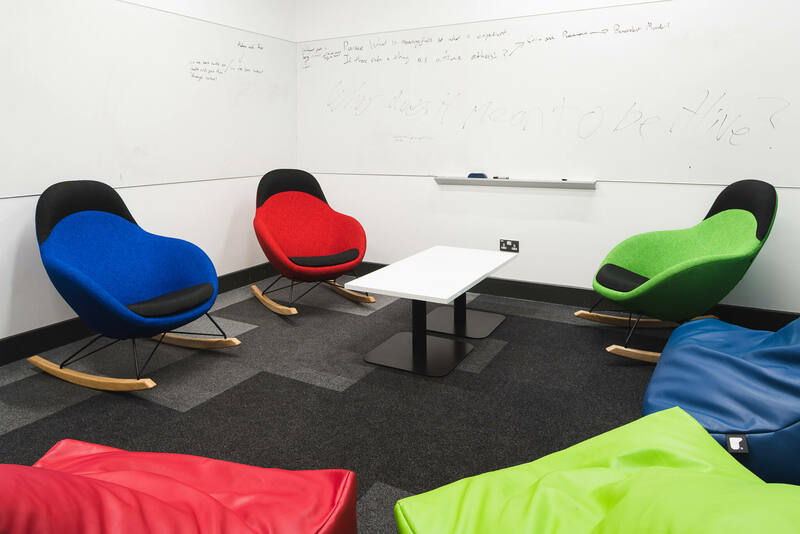 The Invention Room pushes the boundaries of a typical Sixth Form Centre. 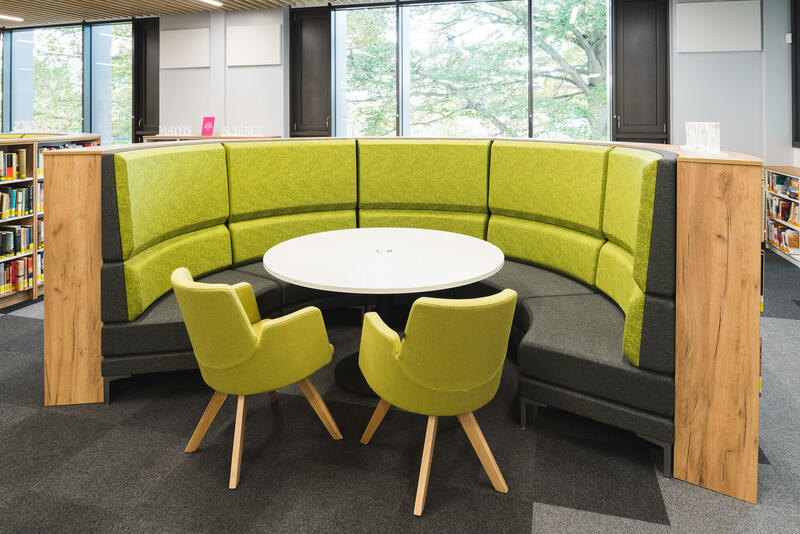 It has writeable walls and table top, with bean bags and a Vieni rocking chair, forming the perfect space to work collaboratively. 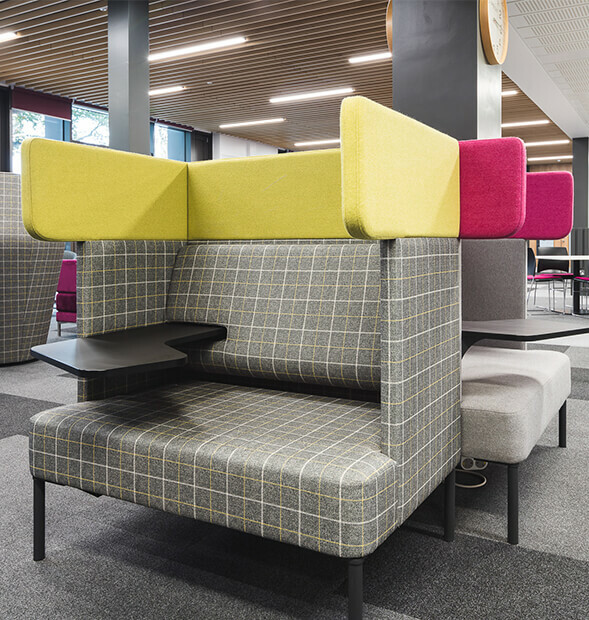 On the 1st floor, we created a modern Library with a range of smart, innovative products included Quattro curved library units, individual study booths, a TeacherWall and a Treehouse. 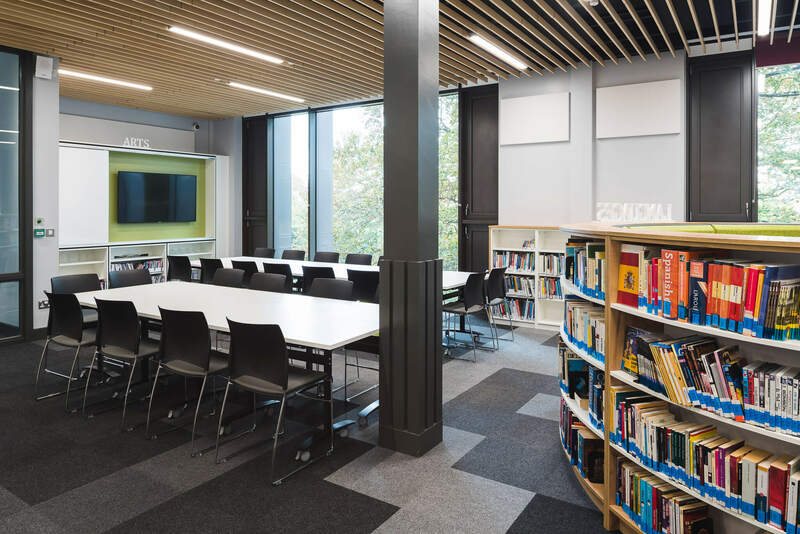 The space can be used for multiple activities such as self-directed learning which will help to bridge the gap between secondary and further education. 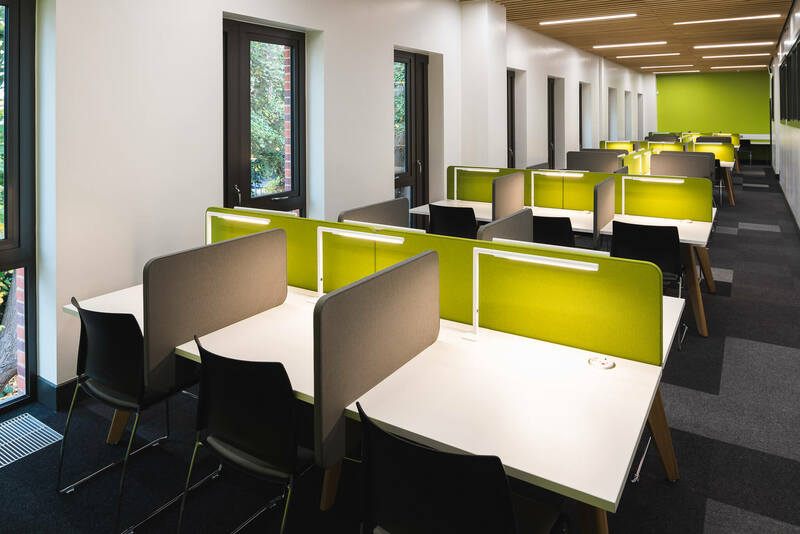 There is a silent study room, classrooms and other study zones to accommodate for the students’ needs. 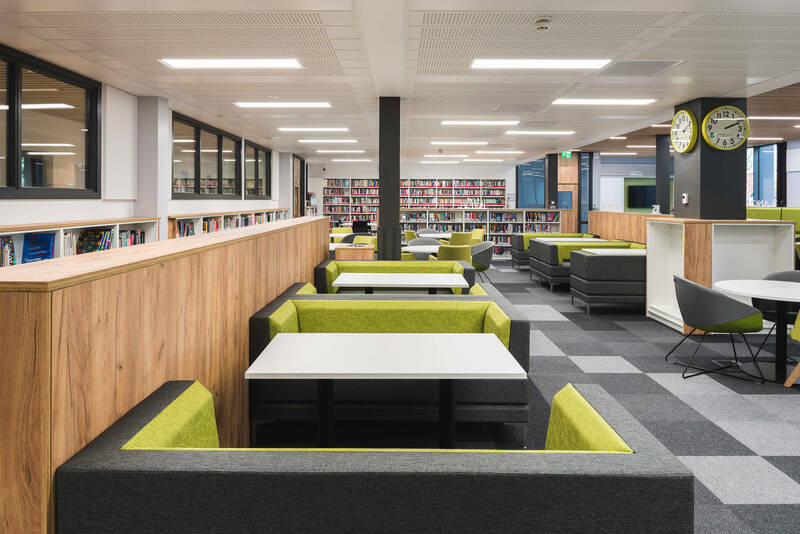 In addition, we supplied bespoke window seating with library shelving to showcase the architectural design of the building.